Before ArtsWorcester, I had little to no contact with other area artists and the dream of seeing my work on a gallery wall was a distant one. All that changed immediately when I joined. 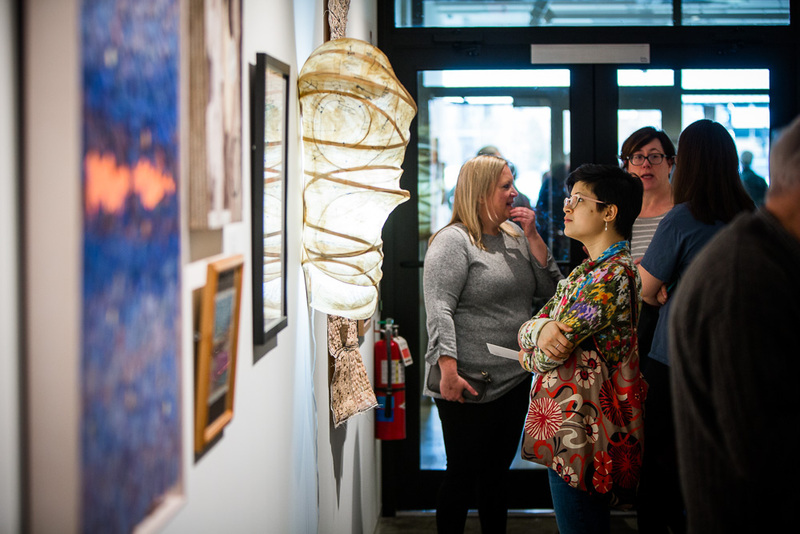 If you are an emerging artist, ArtsWorcester is where you begin to exhibit, meet fellow artists, improve your work, and learn more about the local art scene. If you are an established artist, we offer continued exhibition and sales opportunities, including solo shows in gallery and corporate settings. Join as a Supporting Member to keep local artists working here, and to ensure that art can be open and free to the public. We depend on our audiences, and their support. If you need financial assistance with your membership, please contact ArtsWorcester’s Executive Director to learn about applying for Pay It Forward Funds. Inclusion in three non-juried, members-only exhibitions in our new galleries on Portland Street. These galleries are a state-of-the-art exhibition venue, including complete physical accessibility, professional installation, museum-quality lighting and labeling, custom-built moveable walls and pedestals, audio-visual capacity, ceiling anchors, and sound mitigation. Discounts at C.C. Lowell on art supplies and custom framing. Support, advice, and promotion of your work. *Students must be enrolled in high school, college or university. Those currently enrolled at Anna Maria College, Assumption College, Becker College, Clark University, College of the Holy Cross, Massachusetts College of Pharmacy and Health Services, Quinsigamond Community College, Worcester Polytechnic Institute, and Worcester State University have complimentary membership after e-mailing info@artsworcester.org. ArtsWorcester participates in the EBT Card to Culture, a collaboration between the Mass Cultural Council and the Executive Office of Health and Human Services’ Department of Transitional Assistance. Memberships are tax-deductible to the extent allowed by law. Support, advice, and promotion of their work. If you would like to purchase a membership as a gift, please provide the name and address of your gift recipient and we’ll send them a letter that recognizes you as the giver. If you wish your gift to remain anonymous, please call 508-755-5142 or send an email and let us know. Contributors giving $55 or more a year may become Exhibiting Artists at any time. ArtsWorcester has galvanized our community more greatly, in depth, than any other organization, and mentors emerging and established artists. It has become our home. Jane and Robert Dore, Jr.
ArtsWorcester is a member of the Worcester Cultural Coalition.